Yesterday, the Ninth Circuit Court of Appeals decided a dispute over the statute of limitations defense under the Fair Debt Collection Practices Act (FDCPA). Read the full opinion in Lyons v Michael & Associates. This entry was posted in Uncategorized on June 9, 2016 by Michael Fuller. Many consumer-related disputes involve actions by an individual against a corporation or limited liability company. This provides an opportunity for attorneys representing the consumer to notice and take an entity deposition pursuant to ORCP 39C(6). Some attorneys, however, fail to understand the obligations that a 39C(6) deposition creates both for the individual’s attorney, and especially for the corporation. When used properly, a 39C(6) deposition can provide a more efficient way of information gathering for the consumer, and may even bind a corporation and prevent it from presenting certain evidence at trial if the corporation does not adequately prepare the designee being deposed. 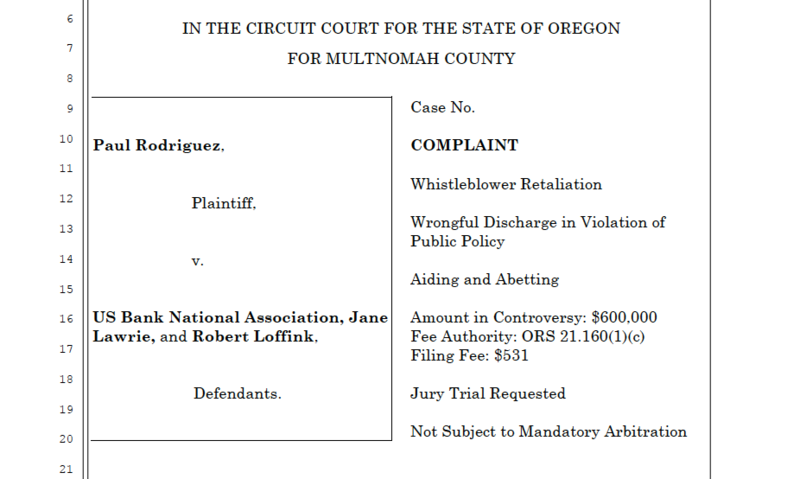 As of the writing of this article there are no Oregon Court of Appeals or Oregon Supreme Court cases interpreting ORCP39C(6). There are, however, a number of cases interpreting FRCP 30(b)(6), the virtually identical federal counterpart to ORCP 39C(6), and those cases can offer guidance to practitioners. This differs from your typical deposition in that 1) the corporation chooses who will appear at the deposition, and 2) the deposing party must let the corporation know before the deposition what the topics of inquiry will be. In exchange for these advantages, the corporation must testify to facts and opinions beyond the personal knowledge of the person designated. They must testify to all matters “known or reasonably available to the organization,” which in the case of a corporation can be quite broad. The designee is not giving her own opinion or testimony. Instead, the designated witness is “speaking for the corporation and this testimony must be distinguished from a mere corporate employee whose deposition is not considered that of the corporation.” United States v. Taylor, 166 FRD 356 (MDNC 1996). “If the persons designated by the corporation do not possess personal knowledge of the matters set out in the deposition notice, the corporation is obligated to prepare the designees so that they may give knowledgeable and binding answers for the corporation.” Id. This means that, even if a corporation has fired the employee(s) with personal knowledge of the situation it must actively attempt to acquire its past employee(s)’ knowledge so long as it is “reasonably available.” In addition to testifying about objective facts, the designee must also testify about the corporation’s subjective beliefs and its interpretation of documents and events. Id. at 361. Like an individual, the corporation may testify that it “does not remember” or that it “has no position” with regards to a certain fact set or area of inquiry. However, “if a party states it has no knowledge or position as to a set of alleged facts or area of inquiry at a Rule 30(b)(6) deposition, it cannot argue for a contrary position at trial without introducing evidence explaining the reasons for the change.” Id. at 363. As such, the entity deposition can serve to “bind” the corporation to the testimony of its designee. If the corporation does not spend the necessary time to prepare its designee or to seek out information that is reasonably available to it at the time of the deposition, it may not then introduce that information at trial. Note however, that while many courts consider the testimony of the designee “binding,” other jurisdictions take a more lenient approach and allow additional evidence at trial that may explain or contradict the designee’s testimony. See, e.g., In re Puerto Rico Elec Power Auth., 687 F2d 501 (1st Cir 1982). As no Oregon case has ruled on this issue yet it is unclear which path Oregon will take. Although entity depositions require the attorney taking the deposition to spend additional time preparing the areas of inquiry and preparing for the deposition well in advance, one of the added benefits for consumers is that entity depositions can serve to reduce the overall number of depositions that the consumer’s attorney needs to prepare for. For example, instead of deposing each employee individually, the attorney can craft a topic of inquiry that would cover all necessary material then prepare for only a single deposition. In addition, facts that are known by the corporation cannot be shielded from the deposing side under the guise of attorney client privilege or work product. “No contention can be made that the attorney-client privilege precludes disclosures of factual information. The privilege does not protect facts communicated to an attorney. Clients cannot refuse to disclose facts which their attorneys conveyed to them and which the attorneys obtained from independent sources.” Protective Nat’l Ins. Co. of Omaha v. Commonwealth Ins. Co., 137 FRD 267 FRD 267, 278-279 (D Neb 1989). Using an entity deposition instead of individual depositions forces corporations to provide designee(s) that have knowledge about the noticed topics. It prevents a multitude of corporate employees from disclaiming any knowledge when it is clear that someone in the corporation has relevant information. For that reason it can be particularly helpful for consumers in dealing with companies with high employee turnover such as used car lots, or collection agencies. It prevents trial by ambush by forcing corporations to do its investigations early and provide its interpretation of events. ORCP 39C(6) depositions can also help consumers who often bring cases on a limited budget. While the attorneys on both sides must do more work to prepare for and take a 39C(6) deposition it is possible to cover in a single deposition with a single court reporter fee, a wide range of issues that might otherwise require multiple depositions, multiple court reporters, and multiple transcripts. As one judge succinctly explained: “the burden upon the responding party, to prepare a knowledgeable Rule 30(b)(6) witness, may be an onerous one, but we are not aware of any less onerous means of assuring that the position of a corporation that is involved in litigation, can be fully and fairly explored.” Prokosch v. Catalina Lightning, Inc., 193 FRD 633, 638 (D Minn 2000). When appropriate, consumers and their attorneys would be wise to take advantage of the benefits of using an entity deposition rather than a multitude of individual depositions. This entry was posted in Uncategorized on May 25, 2016 by Michael Fuller. In an effort to aid tenants facing increases in rent, the Oregon legislature recently passed HB 4143, which was signed into law on March 15, 2016, by Governor Kate Brown. HB 4143 amends the Oregon Residential Landlord Tenant Act (ORLTA) and provides new rent protections for residential tenants starting April 14, 2016. For tenants in month-to-month tenancies, landlords are now prohibited from raising rent within the first year of the tenancy and must now provide notice at least 90 days before raising rent after that first year of occupancy. The ORLTA had previously required landlords to give notice at least 30 days before increasing rent. For tenants in a week-to-week tenancy, the law now requires landlords to provide at least 7 days notice before rent is increased. 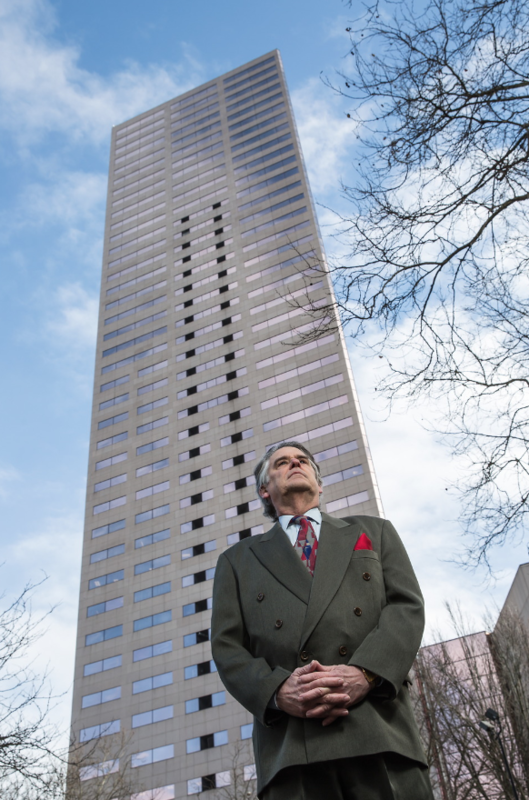 Oregon’s most populous city, Portland, also recently passed additional tenant protections, which are aimed at slowing no-cause evictions that have risen with the increase in property values. Portland City Code 30.01.085 prohibits a landlord from terminating a tenancy “without cause” unless the landlord has provided the tenant with at least 90 days’ written notice of the termination, or the end of rental agreement, whichever is longer. A Portland landlord is also prohibited from increasing rent by 5 percent or more over a 12-month period unless the landlord gives written notice at least 90 days before the effective date of the rent increase. Landlords that fail to comply with Portland’s new requirements are liable to the tenant for an amount up to three months rent, as well as actual damages, reasonable attorney fees and costs. Written by Portland attorney David Venables. This entry was posted in Uncategorized on March 23, 2016 by Michael Fuller. This entry was posted in Uncategorized on March 8, 2016 by Michael Fuller. Today the Second Circuit Court of Appeals ruled that consumers can enforce bankruptcy discharge orders in small claims courts under the FDCPA. Read the full Second Circuit opinion in Garfield v. Ocwen. 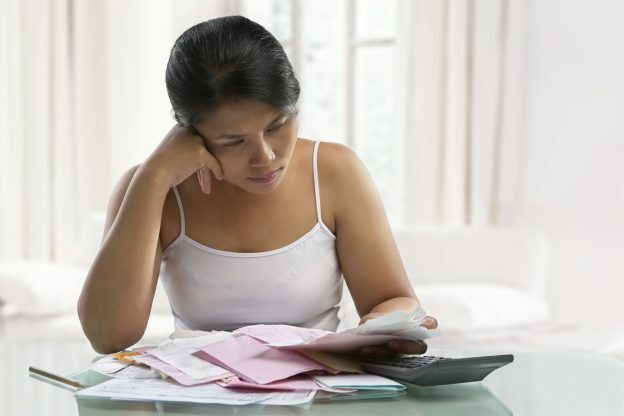 The Fair Debt Collection Practices Act (“FDCPA”) generally makes it illegal for a collector to call a consumer to collect a debt the consumer doesn’t owe. Most states allow consumers to stop collection calls after bankruptcy simply by filing a small claims court complaint under the FDCPA. The Second Circuit’s ruling applies to consumers in New York, Connecticut, and Vermont. Read the Seventh Circuit’s opinion in Randolph v. IMBS, which allows consumers in Illinois, Indiana, and Wisconsin to enforce the bankruptcy discharge under the FDCPA. Read the Third Circuit’s opinion in Simon v. FIA Card Services, which allows consumers in New Jersey, Pennsylvania, and Delaware to enforce the bankruptcy discharge under the FDCPA. Unfortunately for consumers in the Ninth Circuit (which includes Oregon, Washington, and California), stopping calls after bankruptcy almost always means hiring attorneys to re-open their bankruptcy cases. In July 2015 Oregon Senator Jeff Merkley co-sponsored a bill that would essentially overrule Walls v. Wells Fargo, at least in the post-bankruptcy credit reporting context. The bill (Senate Bill 1773) titled the Consumer Reporting Fairness Act remains pending in the Senate Judiciary Committee. This entry was posted in Uncategorized on January 4, 2016 by Michael Fuller. The court’s en banc opinion, In re Schwartz-Tallard, overruled a controversial 2010 case, Sternberg v. Johnston, which expressly prohibited courts from awarding fees to recover damages under § 362(k) of the Bankruptcy Code. This entry was posted in Uncategorized on October 15, 2015 by Michael Fuller. Yesterday, a Ninth Circuit Court of Appeals panel opinion ruled that consumers may be able to permanently void mortgage liens in so-called ‘Chapter 20’ bankruptcy cases. Read the full opinion. 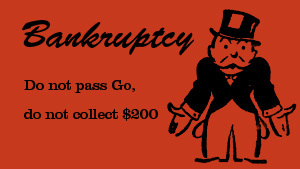 The term ‘chapter 20’ means a consumer who files chapter 13 bankruptcy within four years after receiving a discharge of debts in chapter 7 bankruptcy. 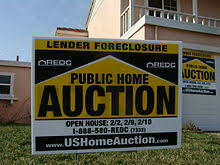 In 2007, the Blendheims filed a straight liquidation Chapter 7 bankruptcy to wipe out their unsecured debts. The day after receiving their Chapter 7 discharge, the Blendheims filed a second bankruptcy case under Chapter 13, in hopes of restructuring mortgages on their condo in West Seattle. The condo was worth about $450,000 and the couple owed $347,900 on their first mortgage and $90,474 on their second mortgage. The first mortgage holder, HSBC, filed a proof of claim but failed to attach a copy of the promissory note, as required by the bankruptcy rules. 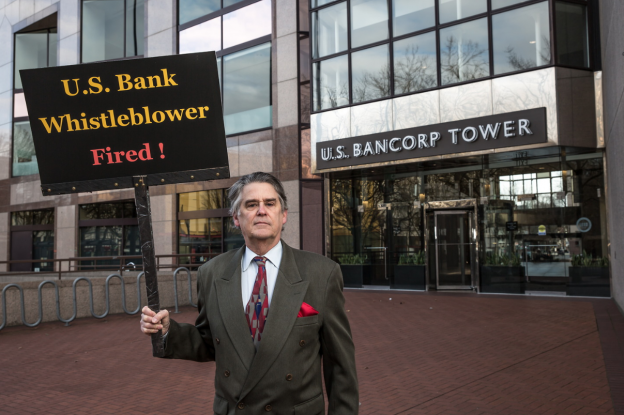 The Blendheims objected, and the bankruptcy court, having heard no response from HSBC, disallowed the claim. HSBC argued on appeal that the bankruptcy court could not void its first mortgage lien because the Blendheims were not eligible for discharge under Chapter 13. HSBC also raised due process issues and argued that the Blendheims’ plan was filed in bad faith. The appellate panel held that the Blendheims could permanently void HSBC’s mortgage lien upon completion of their chapter 13 plan, whether or not they were entitled to a discharge. The court reasoned that the language of § 506 simply did not impose a discharge requirement on a debtor’s ability to void a lien. The panel also held that the Blendheims’ plan was filed in good faith, based on their valid reorganizational goals and lack of egregious behavior. The panel acknowledged that successive bankruptcy filings did not constitute bad faith per se. This entry was posted in Uncategorized on October 2, 2015 by Michael Fuller. Last October, an Oregon bankruptcy court became the first in the country to require a senior lien holder to accept title to a home surrendered in chapter 13. The case, In re Watt, gave hope to families across the country that remained obligated to pay HOA dues, even after moving out of their underwater homes. Last week, Oregon’s chief district court judge reversed the Watt opinion in favor of the lien holder, Bank of New York Mellon. The bank had appealed the bankruptcy judge’s decision, arguing that the court erred in confirming the Watt family’s chapter 13 plan. “With all due respect to the district court opinion, we think the judge got it wrong,” says bankruptcy lawyer Michael D. O’Brien, who represents the Watt family. The Watt family is considering options to appeal. About the author: Michael Fuller is a partner at OlsenDaines, P.C. in Portland, Oregon and an adjunct consumer law professor at Lewis & Clark Law School. This entry was posted in Uncategorized on May 1, 2015 by Michael Fuller.